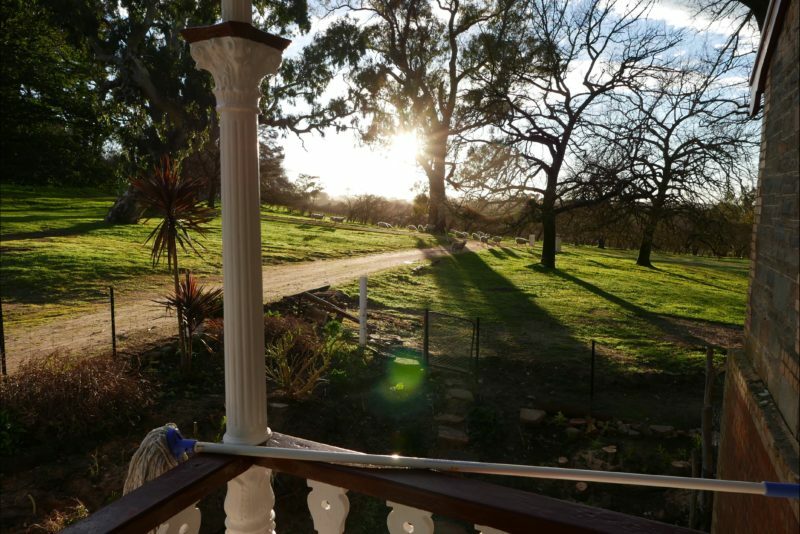 Martinsell Cottage offers a relaxing three bedroom accommodation, set amongst 77acres of ancient old red gums, known as Wirra Wirra. 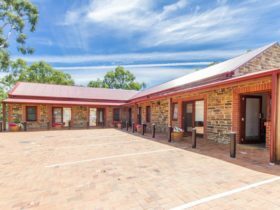 A magnificent piece of South Australian history in the picturesque Barossa Valley region. 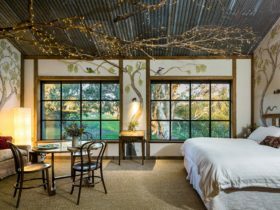 It comprises of vineyards, stone shearing shed, coach house, barn and stables. 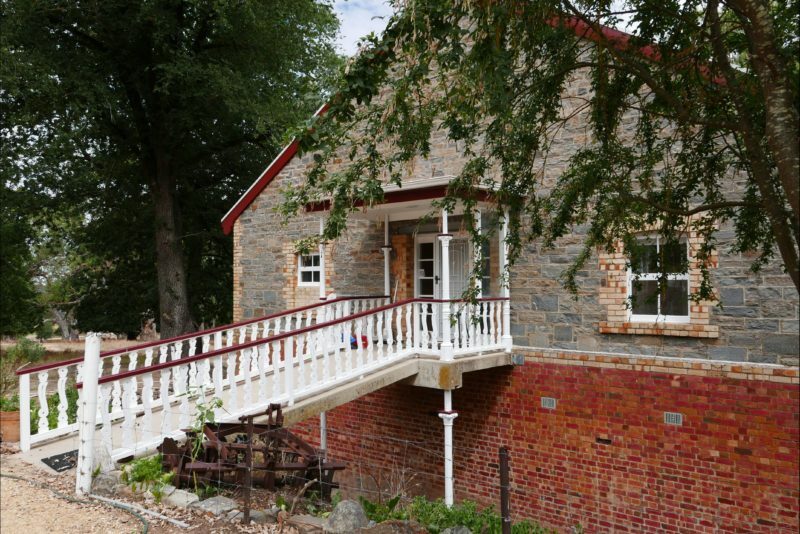 The cottage is set on the estate of one of SA’s most significant Georgian manors, ‘Martinsell’, built in 1901. The cottage is 500m from the main residence. There are stunning views over the rolling hills which are surrounded by forests, with walking, cycling and horse trails. 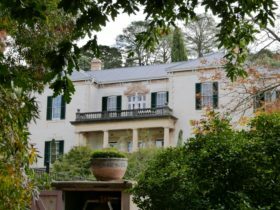 Adjacent to the property is the famous Heysen Trail, and the Kidman and Mawson Trails are not far away. 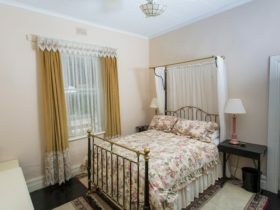 The cottage accommodates 8 guests . 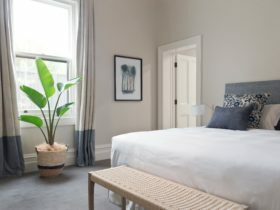 Queen and double size beds in two rooms with the third room having two double bunks, sleeping a further four. There is a lovely large lounge with cosy wood heater and split system air conditioner and a fully equipped kitchen. Laundry, bath, two showers all supplied with soft rainwater plus two toilets. 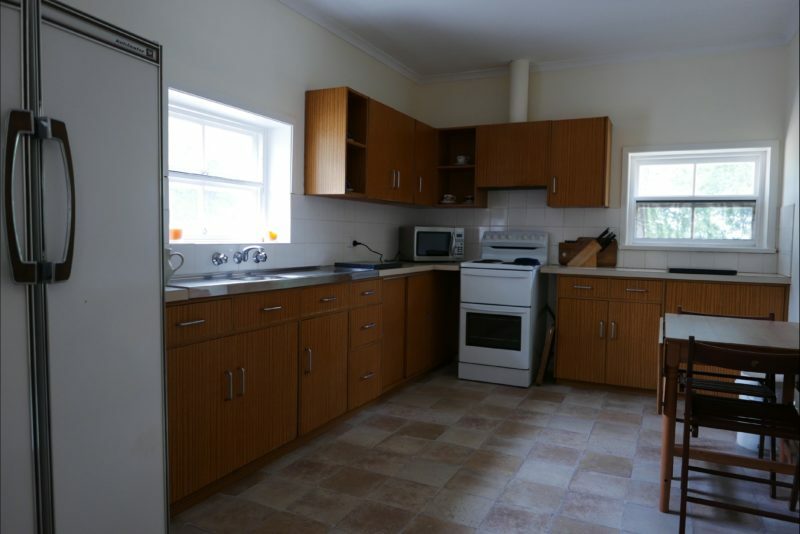 The cottage is in a very peaceful country location with the closest neighbour being a kilometre away. Horses are welcome with secure yards and plenty of parking for horse floats. Extra person rate is $45.